Two brilliant ideas for anti-dandruff shampoos. 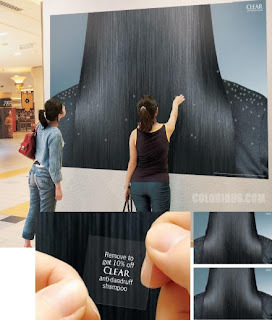 The billboard has little transparent notes that you yourself remove from the hair. 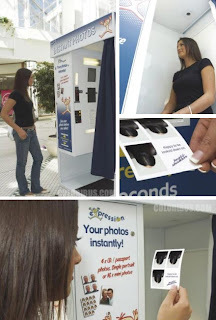 The photobooth tricks you into taking a photo of your scalp. Simply brilliant.